Organi di sicurezza, fonti di intelligence e repubblicane sono concordi, le file del Real IRA si stanno ‘gonfiando’. Superate le 600 unità. A dare risalto alla notizia è The Irish Time che riporta le dichiarazioni di una fonte vicino al gruppo paramilitare repubblicano. Un Real IRA rinnovato contrariamente all’opinione comune di questo periodo. Scalzato uno dei suoi leader storici, Liam Campbell. Elemento repubblicano di spicco condannato in una causa civile come uno dei responsabili della strage di Omagh il 15 luglio 2010. Punito per ‘comportamento anti-repubblicano’, Campbell è stato sostituito da una guida giovane. “La nostra valutazione è che Campbell non ci sia più e che una nuova leadership ha preso il suo posto, determinata a costruire una struttura più pericolosa e più coesa”, ha detto la fonte vicina all’ambiente dissidente. “C’è disinformazione là fuori. Ritengono che il Real IRA sia un’organizzazione frammentata gestita da piccoli raggruppamenti autonomi, ma che non è questo il caso, è unita e ben organizzata”. Il Real IRA si ritiene abbia base a Derry. 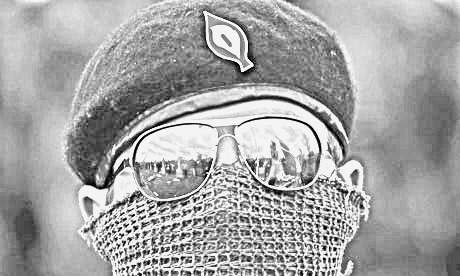 Dissident republican paramilitary groups are growing in numbers and now have more than 600 members with a reorganised Real IRA the most dangerous of the organisations, senior security, intelligence and dissident sources have confirmed. The latest security assessment is that membership of the different groupings is now over 600 with a small core group prepared to carry out gun and bomb attacks. Previous informed estimates had membership at between 300 and 400. Well-placed intelligence and security figures acknowledged that the most potent force is the Real IRA which has removed its leader Liam Campbell, one of the dissidents believed responsible for the Omagh bombing. Campbell was recently ousted as leader of the Real IRA. A new and younger leadership, with a strong Derry focus, has taken over the organisation, security and dissident sources told The Irish Times . Over a week ago Campbell was moved for his own safety off the republican wing at Maghaberry Prison near Lisburn where he is on remand facing extradition to Lithuania on arms smuggling charges. His brother Michael is in custody in Lithuania, also accused of gun running. Liam Campbell was moved because of police intelligence that he was under an imminent death threat from prisoners who were fellow members of the Real IRA, the organisation he helped establish in 1998, the sources said. Dissident sources said that Campbell, one of five men found responsible after a civil court case for the Real IRA bombing in Omagh in August 1998, was expelled from the Real IRA because of “unrepublican conduct”. In the past such quarrels have triggered murderous republican feuds but one well-placed security source said the intelligence picture was that the ousting of Campbell would be bloodless. “Our assessment is that Campbell is gone and that a new leadership is in place which is determined to build up a more dangerous and more cohesive structure,” said the source. Sources close to the Real IRA said Campbell’s removal from the paramilitary body illustrated that it was strengthening its organisation and structure. “There is disinformation out there that the Real IRA is a fragmented organisation run by little autonomous groupings but that is not the case, it is united and well organised,” said a well-placed dissident source. The other main groups are Óglaigh na hÉireann – itself a split from the Real IRA which is led by a Co Louth republican and is still aligned with former Real IRA leader Michael McKevitt, who is in prison for directing terrorism – and the Continuity IRA. The CIRA recently splintered into two factions, with a more Northern-based group professing it had taken over the organisation – a claim rejected by the original CIRA.